Do you want to create slideshows for your business as content or for a presentation? 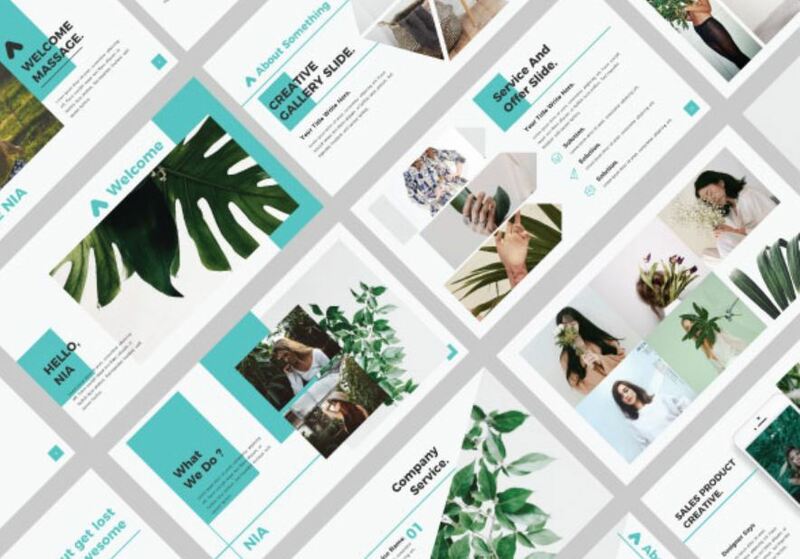 While slideshows are generally an easy type of content to create – you should take steps to ensure they are effective and look impressive enough to keep people interested. As a rule the very first slide of your business slideshow should have a single objective: To ‘hook’ viewers and get them interested in the subject that your slideshow is about. While there are different types of hooks that you can use, you should choose one that you feel is likely to get the most attention and make viewers feel interested. For example you could let viewers know how they can benefit from watching the slideshow. One of the main problems with business slideshows is they can be a bit too long and viewers invariably start to lose focus and interest. That is why you should try to keep the overall length of the slideshow as short as possible. Try to find ways to convey the message of your slideshow in a concise and direct manner. Keep in mind that a picture is worth a thousand words – and use visuals to convey information more quickly than it would be to spell it out. Visuals are good for more than just shortening your slideshow – they will actually keep viewers more interested. It is important that you flex your creative muscle and use visuals effectively. The main goal of any visual in your slideshow should be to make the information easy to understand and interesting. It may be helpful to explore various types of visuals, including charts, graphs, infographics, and other options. Every business slideshow should have a call to action that drives home the message and tells viewers what they should do next. It is one of the main factors that will determine how effective your slideshow is at achieving its goal. Always make sure you have included as strong a call to action as possible. In general it is best to not just tell your viewers what they should do next, but give them a good reason why they should do it. If you want to try to put together a business slideshow you can use Movavi Slideshow Maker to do so. It has everything you need and will let you create a slideshow video quickly complete with elements like background music, creative text, animated transitions, and more. Be sure to take advantage of the tips listed above when you do create a business slideshow. If you do you should end up with slideshows that are more impressive and effective across the board – and help you to fulfill your goals. Bangkok is a culturally rich city with architecture that conveys to visitors that before modernity there was a great history. In its current incarnation, the city has become an international destination for both leisure and business. With a landscape rife for business, entrepreneurs and professionals alike only need to find a workspace. Of the many options, Bangkok’s coworking scene is in full swing with many operators providing businesses with a variety of menu options. 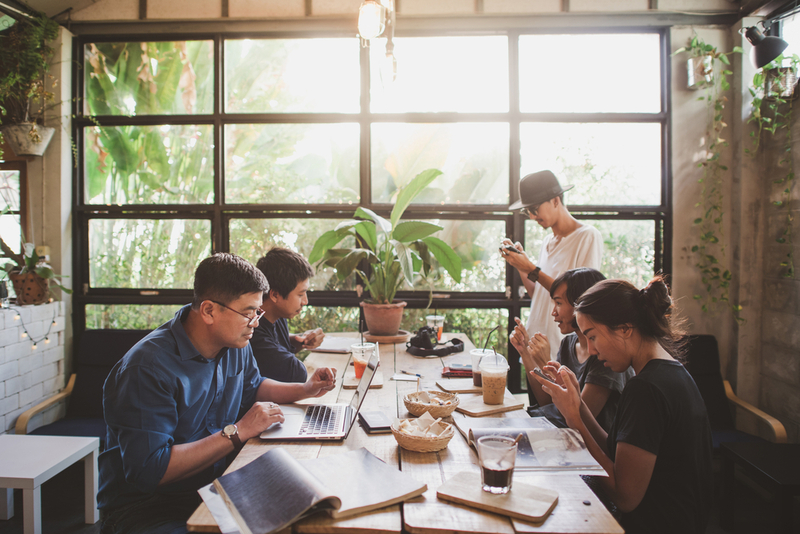 Professionals can choose from premium coworking spaces in Bangkok that range from the very basic to ones with all of the bells and whistles. Because there is such a range of office spaces available, businesses typically can find themselves being overwhelmed in a landscape full of coworking contenders. Continue reading to learn what to pay attention to when looking for a coworking space in Bangkok. The first thing that businesses should look for is the space profile. The profile of the businesses and professionals who comprise this space is important because these professionals are going to be the resource in the coworking community. Within the landscape, you will find all sorts of spaces catering to general and specific industries, and gaining the maximum advantage can be done by finding the right space that carries a good mix of professionals from diverse industries. Then review the types of amenities that are offered in the space. The importance of this particular task is the amenities can be a perk in the space but can also be used to your advantage. For example, if one space offers business matching and another offers daycare, then consider your options. If you are a professional without a family, the daycare might not be an important amenity. However, if building a platform of associates is an important factor, then you might want to go with the business matching. No coworking space would be worth its salt without offering businesses an events calendar. The events hosted by the space provide businesses with the chance to connect with the community and with the larger business community as well. Look for professional events like conferences and other networking events, and the more entertaining coworking spaces will host barbecues and other team building events to galvanise the community. Because the space is primarily a place of work, make sure the space has all of the tools you need to work. While most business share documents through file sharing, many still scan and send documents. One of the key pieces of equipment business should have is a copier that can perform a number of functions. Then, there is the need for high-speed, reliable internet connection. 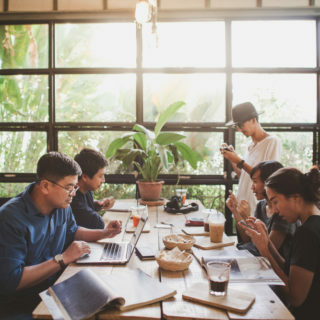 Most coworking spaces provide businesses with Wi-Fi, but some coworking spaces might not provide their professionals with the same quality of internet speed simply because of their location in the city. Ultimately, you want to ask managers what types of office tools are being made available. For professionals who have to spend a lot of time travelling, being able to access space in other locations is a priority. Businesses are more than likely to find that larger, corporate serviced officer providers cater to a more international crowd. These offices typically have locations around the world, which can be advantageous because it can provide you with space to work while you are away. Thai entrepreneurs have the great fortune of being able to take advantage of office space that allows them to create bespoke office solutions. With the variety of spaces and range of amenities available, businesses can actually attempt to create the perfect office. However, before setting off on your search, determine what your needs are while keeping the above considerations in mind. To learn some of the major differences between Mootools and Jquery, simply continue reading to discover when to use Mootools and when to use Jquery. How can Jquery make designing and managing websites an easier process? If you learn how to effectively use Jquery to your advantage, you’ll be able to spend less time writing code. As you’ll be able to wrap several lines of code in a single line, which will save you valuable time and energy. What do you need to know in order to effectively use Jquery? Most of the most highly regarded technology companies use Jquery. Examples of which include Google, IBM, Netflix, and Microsoft. What are some of the benefits associated with utilizing Mootools? Firstly, like Jquery Mootools is a free to use system which was licensed by the Massachusetts Institute of Technology, which happens to be the number one technology-focused university in the world. So you can be sure of Mootools quality. Secondly, Mootools will allow you to write powerful yet easy to read code. So if you’re sick of trying to decipher hard to read code, it’s well worth experimenting with Mootools. Thirdly as Mootools is so easy to read, if you plan on maintaining and editing your website’s code with another individual or a group, it’s well worth utilizing Mootools as your colleagues won’t have any trouble deciphering the code which you’ve written! If you’re looking for detailed information on Mootools and Jquery, chances are high that you’re also interested in finding out more information about Aptana Jaxer. Hopefully, after reading this handy guide to understanding the differences between Mootools and Jquery, you’re now confident about whether you should use Mootools or Jquery! Whether you’re interested in designing your own website from scratch or are simply interested in web codes in order to edit and maintain a website, simply continue reading to discover a few of the most commonly used types of web code. HTML, which stands for Hypertext Markup Language, is one of the first widely used web codes and has been around since 1990. If you’re looking to learn the basics of developing a website, you may want to start off by learning the basics of HTML. One of the key reasons why you may want to learn HTML is that HTML is one of the simplest web codes to learn and within a few hours of experimenting with simple HTML codes, you’ll be able to create a simple, rudimentary website. That features colored text, headings of various sizes, links, photos, videos and a navigation bar. Java is a popular web code which was first used in 1996 and which was designed to help programmers design functional, efficient software programs for a wide variety of operating systems such as Windows, Mac, and Linux. However, while Java was first designed to design computer programs, Java is also commonly used to design, edit and maintain web pages. If you haven’t heard of Java, you may know Java by its secondary name C++. So if you’re looking to learn a web code that can be used for a variety of different purposes, you may be interested in learning the basics of Java. So whether your primary reason for learning a new web code is to be able to design a professional looking website or you’re simply interested in coding, it’s well worth learning at least one of the primary web codes listed above. In order to stay on top of your business’ books, it’s a smart move to install DIY accounting software onto your primary laptop. As you’ll be able to meet your business’ accounting obligations, in a short amount of time. It’s a great idea to try and forecast the future performance of your business, to see how your business’ finances may look in six months, 1 year, 3 years, 5 years and 10 years. As if your business’ projected profit margins disappoint you, you’ll be able to make quick changes to your business plan, in order to try and change the future of your business’ finances. Make sure that your personal finances are kept completely separate from your business’ accounts and finances. As your business’ accounts may need to be audited in order to comply with taxation laws, it’s a wise idea to keep your business’ accounts and your personal accounts separate. In order to keep track of your business’ finances and to meet your business’ tax obligations, it’s also a great idea to keep all of your business receipts and invoices. If possible, make sure to collect all of your physical receipts and invoices as well as your online receipts and invoices for your business’ expenses. If you’re offered a large business loan from your bank manager, don’t accept the offer if the interest rate which is associated with the loan is too high as you’ll end up increasing your business’ debts unnecessarily. Instead, try to negotiate a lower interest rate for a smaller business loan or to book meetings with bank managers at other branches or banks. It’s also a wise idea to look at your business’ credit card statements each week. In order to see if there are unnecessary payments on your credit cards, which you may be able to cull from your future budget. In order to ensure that your business will be able to grow as the years pass, make sure to start budgeting now, for your business’ future expenses. As an example, you may want to start saving for your business’ second premises or for a new website for your business. Even if you choose to hire an accountant, it’s still worth looking over your business’ accounts, to ensure that you’re aware of your business’ numbers. 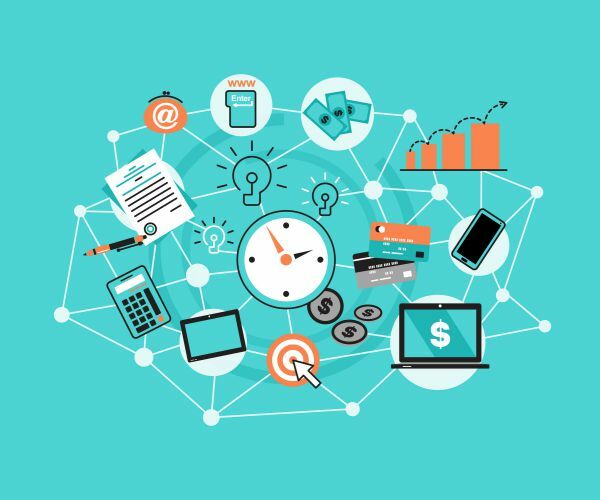 So if you want to ensure that your business remains financially viable in the future, it’s well worth following the 8 financial tips listed above. If you’re interested in increasing your net worth and taking control of your finances, simply continue reading to discover 7 must-read finance tips. The first step which you should take in order to take control of your finances is to make a concentrated effort to decrease your debts. If you want to decrease the amount of interest which you pay on your loans, it may be a wise idea to consolidate all of your current loans into a single loan. As an example, if you currently have a car loan and two credit card loans, it’s a great idea to consolidate all three loans into a single loan. By consolidating your loans, you should decrease the interest which you’ll pay by several hundred dollars per year. If you have loans which total tens of thousands of dollars, you should be able to save thousands of dollars in interest by the time you pay off your loan. Many individuals make the mistake of paying off the minimum amount off their credit card each month. However, it’s a far better idea to pay off larger chunks of any credit card debt which you may have accumulated. In the long term, your goal should be to pay off any money which you spend on your credit cards, before the end of the month. That way, you will enjoy the convenience of being able to use a credit card to shop online, without spending money that you don’t have. If you’d rather stop using credit cards altogether, it’s a smart idea to sign up for a debit card. As a debit card can be used anywhere where credit cards can be used but only utilize your own money. No matter whether you’re in your early twenties or you’re in your late fifties, it’s a smart idea to work on making regular contributions to your retirement fund. To ensure that you’ll be able to enjoy a comfortable standard of living in your twilight years. It’s well worth taking a look at your credit report. As if your credit score is low, you may want to start taking action to increase your credit card score. Especially if you plan on applying for a home mortgage in the future. To discover your net worth, which is a great indication of your current financial status, simply add up your assets such as investments, savings, and cash and deduct your liabilities from the total worth of your assets, in order to discover your net worth. If your net worth isn’t as high as you had hoped, simply work on decreasing your debts and increasing your assets, in order to increase your net worth. If you follow the 7 tips listed above, you should be able to take control of your financial future and to increase your net worth, in no time at all. 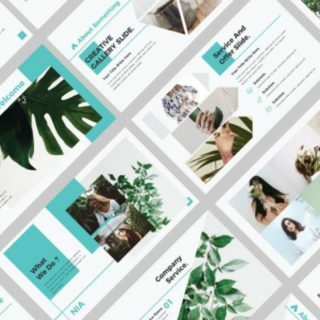 If you’re unsure of how to go about designing a professional looking website, simply continue reading to discover a handy guide to developing a great website. Many individuals make the mistake of choosing fonts which are nearly impossible to read or fonts which are too childish such as Comic Sans. So when it comes time to select fonts for your website, make sure to choose professional looking fonts which can be easily read. Remember that the look of your website will determine whether or not visitors see your business as a professional website. As your website will influence each visitor who loads your website. Especially if your business doesn’t have a traditional brick and mortar premises. Alternatively, if you’re looking to design websites for businesses, it’s also a great idea to ensure that each website which you produce looks professionally designed. Make sure to take your time when it comes to selecting photos and images to place on your website. As just as poorly selected fonts will reflect poorly on your business, poorly chosen images will also give your business an amateur vibe. If your business doesn’t already have a professional logo, it’s a great idea to invest in having a professional logo designed for your business, which you’ll then be able to use on your business’ social media accounts as well as your business’ website. While you may be tempted to use yellow text or to use a pale blue background for your website, it pays to ensure that all the colors which you select for your website, show up well on your screen. As visitors to your site won’t have the patience to try and decipher unclear text or images and will simply opt to visit one of your business’ competitors websites. Not only does a site have to look as professional as possible but a great website should also be a breeze to navigate. The easiest way for your potential customers to navigate your website is to carefully title the different pages on your website as part of your website’s navigation bar. As an example, you may want to label one link “About us” and another link “Shop”. Make sure to get a third party such as a trusted friend or family member to test out your new website before it goes live. As if you stare at your website all day long, you may not be able to see any simple flaws which should be staring you straight in the face. If you keep the 5 design principles listed above in mind, you should have no difficulty creating a proffesional website. In order to help your online business grow from strength to strength, continue reading to discover 5 invaluable online business tips. Many business owners make the mistake of posting on their social media accounts too frequently, without ensuring that each post which they post provides valuable content. So if you want to build a following for your business on social media, make sure to provide high-quality posts, that your target audience will actually enjoy reading. After all, if your business’ social media accounts spammed individuals with junky posts, individuals will be likely to unfollow and ignore your business. Whereas if your business builds a reputation for posting quality posts, your followers will be more likely to engage with your posts and to share your posts with their social networks. If your business sells physical items, it’s well worth trying to find ways to cheaply yet safely deliver your products to your customers. As potential customers will be very unlikely to go through with making an order from your site if your shipping prices are unreasonable. As in today’s day and age most individuals prefer shopping at sites which offer free shipping or inexpensive shipping rates. One way to ensure that all of your customers are able to find the information which they’re looking for is to install a chatbot on the homepage of your website. As that way, you’ll be able to program your chatbot to answer the most frequent questions, which customers tend to ask your customer support team. As an example, you will be able to get a chatbot to answer questions about how to place an order on your site. 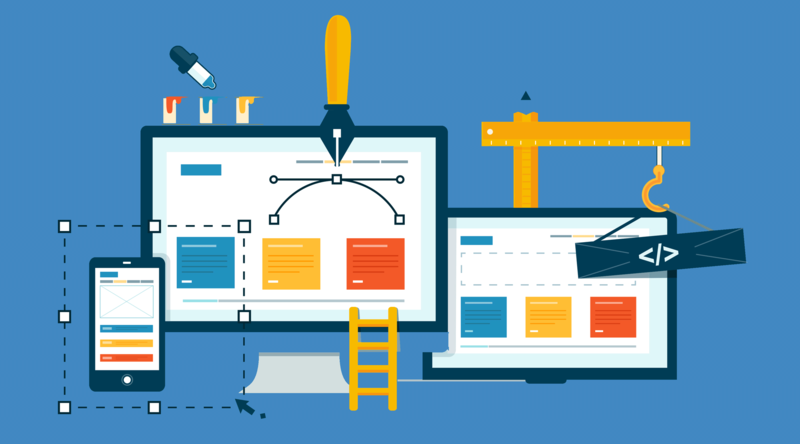 While it’s important to design a functional, attractive website for your online business, it’s also important to design a fully functional, easy to navigate, mobile version of your website. As a large percentage of your customers will try to access your website from their smartphone or tablet and won’t make a purchase if they’re unable to find the information which they need on their smartphone quickly and efficiently. It’s well worth encouraging your regular clients to sign up to a VIP email list as that way you’ll be able to send your long term customers regular links to limited time sales. As it’s human nature to strive to purchase products at a discounted price. If you’re wondering about how you can convince thousands of your customers to join a VIP marketing list, you may want to offer each customer a one-off discount code, in return for successfully signing up to your business’ marketing list. 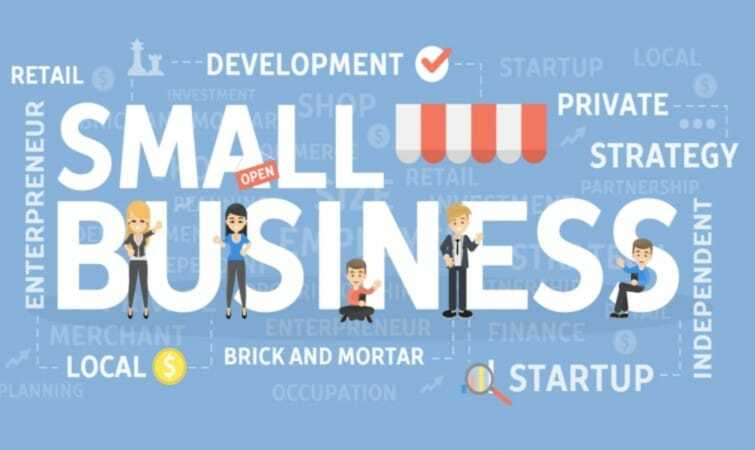 So if you’re looking to take your online business to the next level and are looking for simple methods to help your business grow from strength to strength, it’s well worth implementing all five of the online business tips listed above.